February 14 will be a great day for music lovers.On that date, the North Island Concert Society presents 6 Guitars at the Port Hardy Civic Centre. Originally formed by Gwen Doi, Malcolm Fleeton, Maureen Lee and Gretchen Frith, the North Island Concert Society is a non-profit society dedicated to presenting quality professional entertainment. In the beginning, the District of Port Hardy provided a start-up grant. The Port Hardy Lions Club and the Port Hardy Rotary Club also gave a large amount of support to the Society. 6 Guitars is a blend of music, comedy, and characters. 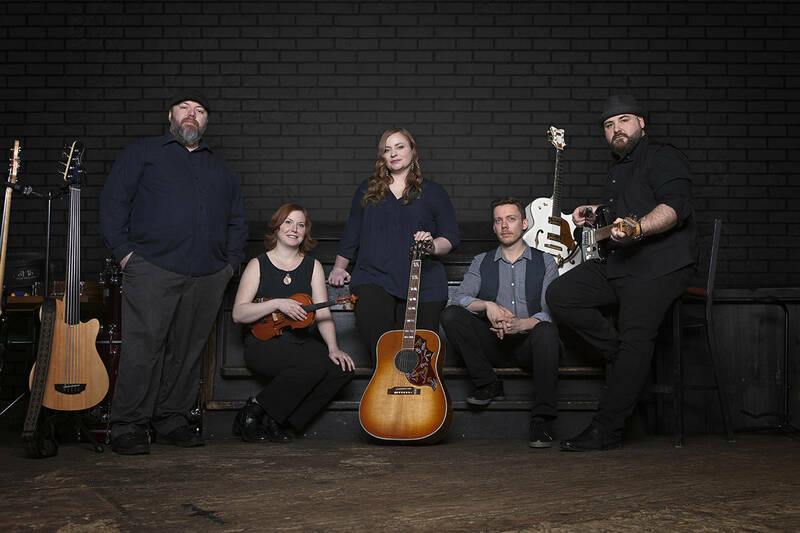 Chase Padgett becomes six different guitar players, each with their own distinct voice, views, and musical style (Blues, Jazz, Rock, Classical, Folk, and Country). During this 85-minute show, each of the characters, ranging from a 19-year-old rock prodigy to an 87-year-old blues man, shares their journey with music from discovery to mastery through songs and stories that leaves every audience laughing, crying, and falling in love with music all over again. Padgett graduated from the University of Central Florida in 2007 with a Bachelor of Arts in Music and has been a full time actor and musician ever since. 6 Guitars premiered at the Orlando International Fringe Festival where it was greeted with sold out houses and standing ovations. Since then it has travelled internationally becoming one of the most successful shows from the Canadian Fringe Festival Circuit by breaking attendance records and receiving high praise from critics. In 2013 it became one of the top five highest grossing shows in the history of the Winnipeg Fringe Festival by selling nearly 3,000 tickets in 12 days. In the spring of 2014, 6 Guitars was one of the top showcases at Pacific Contact, a juried showcase for arts presenters in British Columbia and beyond. Since the premiere of 6 Guitars in 2010 at the Orlando International Fringe Festival, Padgett has developed other solo shows and has been in several national commercials. He is currently the artist in residence at the Curious Comedy Theater in Portland, Oregon and also loves live looping, a technique of recording live vocals and guitar and arranging them to create new compositions. The 6 Guitars concert starts at 7:30 p.m. Tickets are $25 for adults and $10 for students.